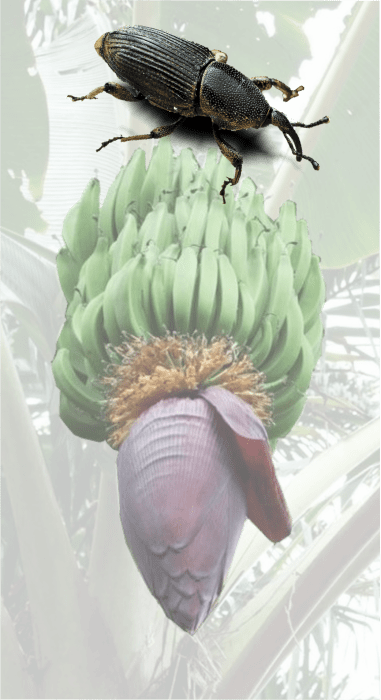 The black banana weevil (or the banana root borer) Cosmopolites sordidus is one of the most serious insect pests of bananas. This beetle has been transported throughout the banana growing regions of the world. Corms or rhizomes are used for propagation and eggs and larvae are easily transported therein. Today it is present in southern Asia, Africa, many Pacific islands, Australia, northern South America, Central America and the West Indies. Eggs are laid between leaf sheaths and stems as well as around the corm. The newly hatched larva bores into the corm. 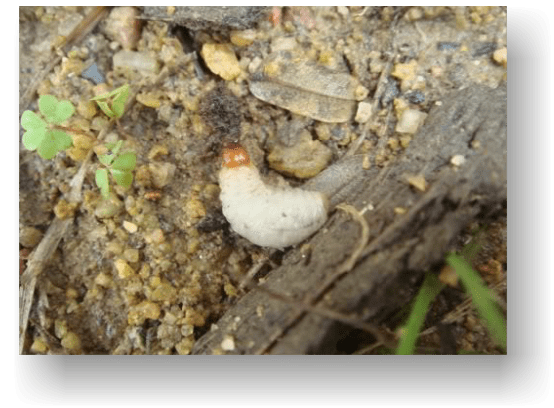 Most damage is done by the extensive tunneling of the larvae in the corm, thus weakening the plant and causing blow-down by even slight winds. The complete life cycle is from 30 to 40 days. The adults are secretive in habits and more abundant at night. The adults can live for long periods without food and although they have functional wings they have rarely been observed in flight. Sordidin, the insect’s pheromone, is produced by male weevils and incites individuals of both sexes to group together for mating. 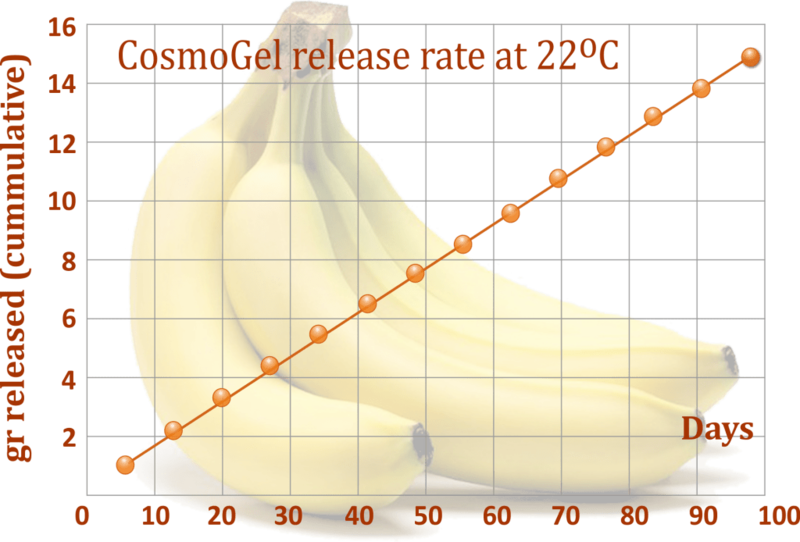 This aggregation pheromone presents an effective, environmentally friendly method for controlling the weevil and is increasingly used as an alternative to chemical treatments. 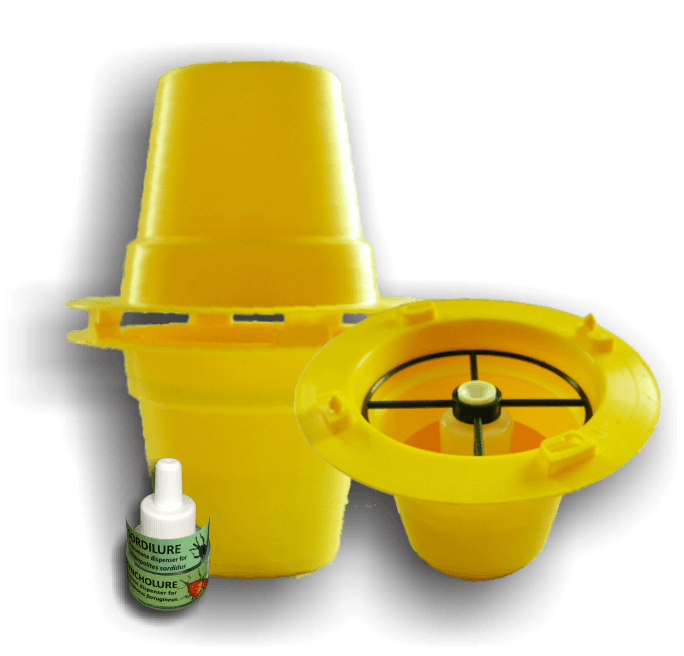 However for effective mass trapping placing just the pheromone dispenser in the traps is not enough but additional stimuli (kairomones) are required. 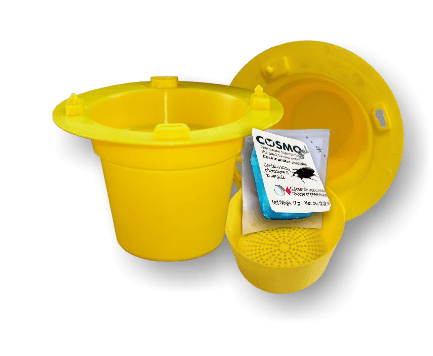 Sordilure and Cosmogel dispensers contain both the insect’s pheromone and banana tree volatiles (kairomones) mimicking the odor of damaged palm. 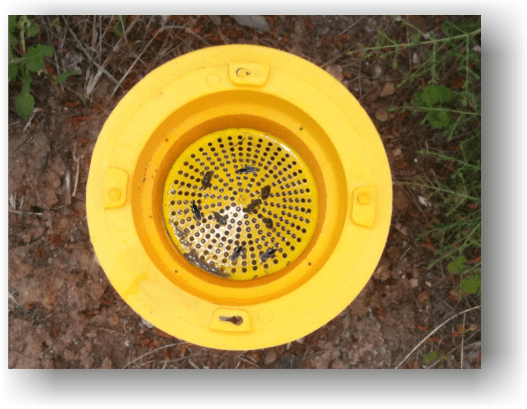 This combination of pheromone and synergists is highly attractive to both male and female weevils who are thus lured and trapped in the appropriate insect traps (recommended pitfall traps). 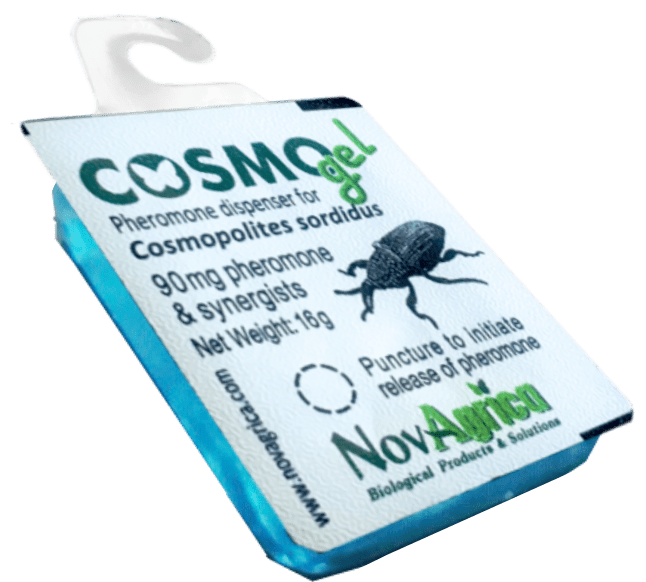 In Cosmogel the pheromone of Black Banana Weevil and synergist (kairomones) are formulated in a gel matrix in a small transparent dispenser. The content of the dispenser (16g) dissipates slowly at a constant pace ensuring optimum evaporation rate over a period of 90 days*. Sordilure dispenser contains sordidin, synergists (kairomones) and emission regulators (total volume 12ml, 90mg sordidin). The mixture dissipates through a ceramic wick at a constant rate ensuring optimum evaporation over a period of 80 to 100 days* delivering approx. 1mg activated sordidin per day**.